SINGAPORE, November 2nd, 2018 – IDC unveiled today its top predictions for Asia/Pacific excluding Japan (APeJ) at the IDC Asia/Pacific Futurescapes 2019 held at the Singapore Marriott Tang’s Plaza Hotel. 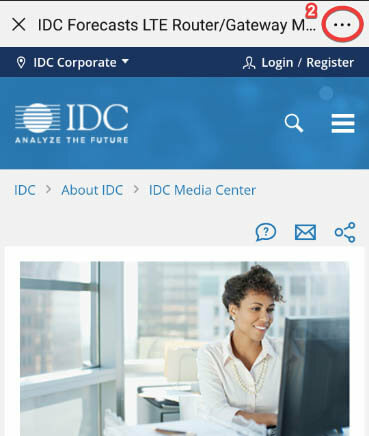 The event is one of ICT’s biggest thought leadership event every year where IDC unveils its top 10 predictions for ICT and industries for the next 36 months. 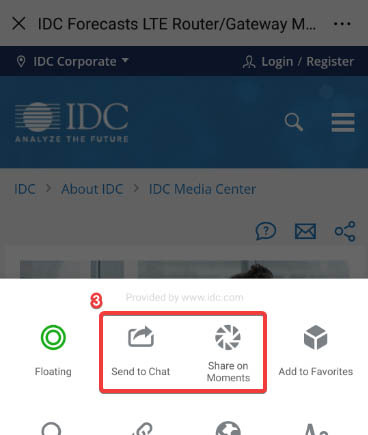 This year, IDC shared that it predicts that at least 55% of organizations will be digitally determined by 2020, transforming markets and reimagining the future through new business models and digitally enabled products and services. Digitally determined organizations demonstrate the ability to vision, plan, and operationalize DX through ambition, grit, discipline, commitment and hard work2. Ultimately, all digital determined organizations aspire to become digital native enterprises3. “To be one of the digitally determined, Asia/Pacific1 organizations requires more than tenacity; it requires a blueprint that consists of a single enterprise strategy, resoluteness to make required organizational and cultural changes, a long investment strategy based on the principle that digital is inherently valuable to the business; and should have a single digital platform to scale technology innovations,” says Sandra Ng, Group Vice President for ICT Practice at IDC Asia/Pacific. #1: Digital determination: By 2020, at least 55% of organizations will be digitally determined, transforming markets and reimagining the future through new business models and digitally enabled products and services. #2: Data monetization: By 2020, 60% of large enterprises will create data management or monetization capabilities, thus enhancing enterprise functions, strengthening competitiveness, and creating new sources of revenue. #3: Digital KPIs: By 2023, 80% of entities will have incorporate new digital KPI sets – focusing on product/service innovation rates, data capitalization, and employee experience – to navigate the digital economy. #4: Digital twin: By 2020, 30% of A1000 companies will have implemented advanced digital twins of their operational processes which will enable flatter organizations and one third fewer knowledge workers. 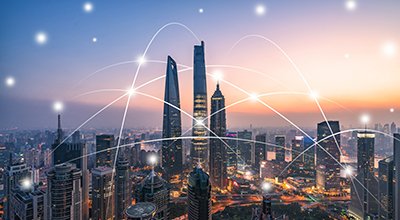 #5: Agile connectivity: By 2021, driven by LoB needs, 60% of CIOs will deliver “agile connectivity” via APIs and architectures that interconnect digital solutions from cloud vendors, system developers, startups, and others. #6: Blockchain-enabled DX platforms: By 2021, prominent in-industry value chains, enabled by blockchains, will have extended their digital platforms to their entire omni-experience ecosystems, thus reducing transaction costs by 35%. #7 BizOps: By 2021, 45% of CIOs will expand agile/ DevOps practices into the wider business to achieve the velocity necessary for innovation, execution, and change. #8 AI-driven edge: By 2022, over 30% of organizations’ cloud deployments will include edge computing, and 25% of endpoint devices and systems will execute AI algorithms. #9 Digital trust: By 2020, 55% of CIOs will initiate a digital trust framework that goes beyond preventing cyberattacks and enables organizations to resiliently rebound from adverse situations, events, and effects. #10 AI-based IT Operations: Compelled to curtail IT spending, improve enterprise IT agility, and accelerate innovation,60% of CIOs will aggressively apply data and AI to IT operations, tools, and processed by 2021. 3 IDC defines a Digital Native Enterprises (DNE) as an entity that can scale its business and innovate at a pace that is an order of magnitude greater than traditional businesses. 4 IDC defines a digital transformation (DX) as the application of 3rd platform technologies to fundamentally improve all aspects of society. DX aims to transform decision making with technology.